Dr. Marc has helped hundreds of adolescents and adults uncoil the confusion that comes with a scoliosis diagnosis. His back-school program focuses on educating, enabling and empowering scoliosis patients via Schroth scoliosis exercise that is specific to a patient’s curve pattern. Scoliosis exercise rehabilitation can be helpful for patients dealing with the spinal condition. Mobilization is important for the scoliotic spine. Dr. Moramarco’s innovative back school offers that and so much more. It is a comprehensive approach offering spinal education and the knowledge that comes from the most up-to-date Schroth method techniques. It’s a three-dimensional exercise and breathing approach with a proven track record. Link to resources. The comprehensive scoliosis management program is a multi-faceted, curve-pattern-specific program. Patients learn how to manage scoliosis, for life. Certified at the Asklepios Katharina Schroth Clinic, Germany, his expertise is unsurpassed. He is a co-author of Schroth Therapy: Advancements in Conservative Scoliosis Treatment. In addition, his expertise extends to scoliosis bracing. He is the North American distributor of the Gensingen Brace® (GBW) for scoliosis, an innovative 3D asymmetric brace from Germany. He trains and certifies other practitioners in the Schroth Method and brace. The Scoliosis 3DC program he runs consists of ADL exercise, new sagittal plane exercises for scoliosis, simplified Schroth exercises known as 3-D made easy® and traditional Schroth method exercises when necessary according to a patient’s unique curve pattern. Exercises are predominately in an upright position to engage the spinal musculature. This distinction from other Schroth therapists is important! Scoliosis back school offers adolescents the potential for spinal improvement via possible reduced Cobb angle and improved posture. Adults learn management techniques for improved posture, halting curve progression and pain management due to scoliosis. Dr. Moramarco’s Schroth Method program, Scoliosis 3DC is located within his chiropractic facility and appointments for scoliosis patients are by appointment. Comprehensive instruction in postural positions during daily activities. (Patients learn how to avoid feeding into curve progression during daily activities). They learn how to counteract the curves by relearning the best positions for sitting, standing, lying down etc. If your goal is to prevent scoliosis progression or reduce scoliosis in your adolescent child or to address the myriad issues adults with scoliosis encounters such as pain, stiffness, postural problems, concerns about curve progression etc., our extensive knowledge and Schroth Best Practice® immersion program makes us the best choice for Schroth Method treatment in the U.S.. While our minimal program goal for adolescents is halted progression, our ultimate goal is to help each child reduce the Cobb angle of scoliosis and improve postural appearance. This is best achieved prior to growth; however, some adolescents with residual growth have achieved curve reduction to some degree as well. Multiple factors must be considered when it comes to successful scoliosis management, among them are age, growth potential, spinal flexibility etc. A majority of our patients have succeeded in reducing scoliosis curvature (as measured by Cobb angle) to some degree (change must be greater than 5º to be considered a true change). Patients who wear the Chêneau Gensingen scoliosis brace optimize their scoliosis exercise treatment regime. The Gensingen Brace by Dr. Weiss (GBW) are getting particularly exceptional results. 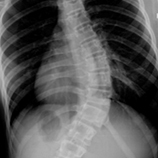 Some of our patient results are published here or on the Scoliosis 3DC Facebook Page. 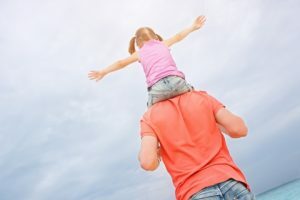 If you are a a parent of a recently diagnosed child or an adult with scoliosis and are looking for information, education and answers, please call us here at the chiropractic office or visit Scoliosis 3DC for additional information about the scoliosis program. Also, check out our Scoliosis blog with information based on Dr. Moramarco’s more than dozen years of experience with the Schroth method. We offer programs for children, adolescents, and adults with mild, moderate or severe scoliosis, post-surgical scoliosis treatment and Scheuermann’s kyphosis. If you would like to schedule a brief phone consultation with Dr. Moramarco, please call us 781-938-8558. We look forward to hearing from you!